Kilvington Grammar School is a smaller independent coeducational school offering an outstanding education from ELC to VCE. 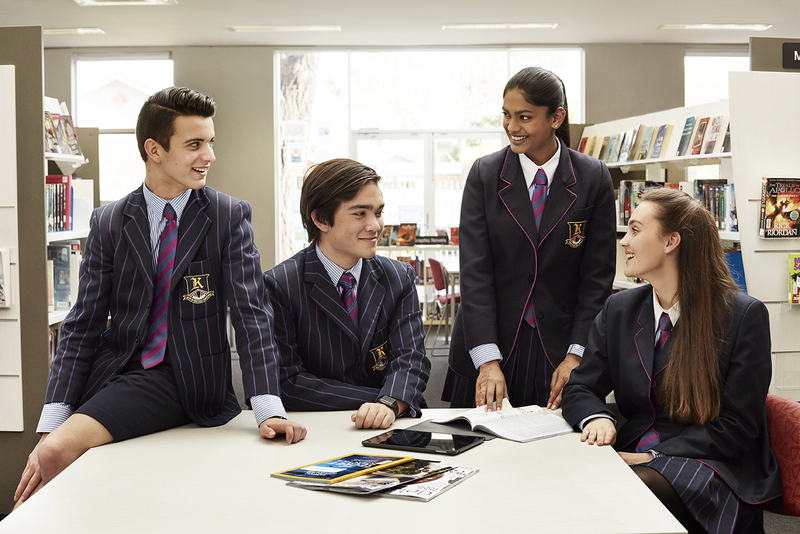 Situated on one campus in the Melbourne suburb of Ormond, our school is renowned for its academic excellence, character education program, pastoral care and tight-knit and connected community. High expectations, an emphasis on self-regulation and positive student-teacher relationships create an engaging and supportive climate where students are encouraged to think, grow and strive for their personal best. Our philosophy is underpinned by our Character Initiative and neuroscience research on the benefits of instilling a Growth Mindset. Student learning is a rounded experience that equips students with the skills needed to navigate, connect and thrive in a transforming world. Learning at Kilvington fosters academic excellence, shapes perspectives, strengthens character and builds skills for success. Our NAPLAN results are consistently above the national standard, while 75 per cent of our VCE students are consistently in the top 25 per cent of the state. Application to our 2020 Scholarship Program is now open and will close on 4 February 2019.